I think one should set the table every night. It is a good way to keep your family at the table longer, it prompts conversation. It sets a good precedence for your children, by setting the stage for learning table manners. I am astonished how many kids and adults do not know where a knife and fork should be placed. Paper napkins send me over the edge and soda bottles on a table make me cringe. 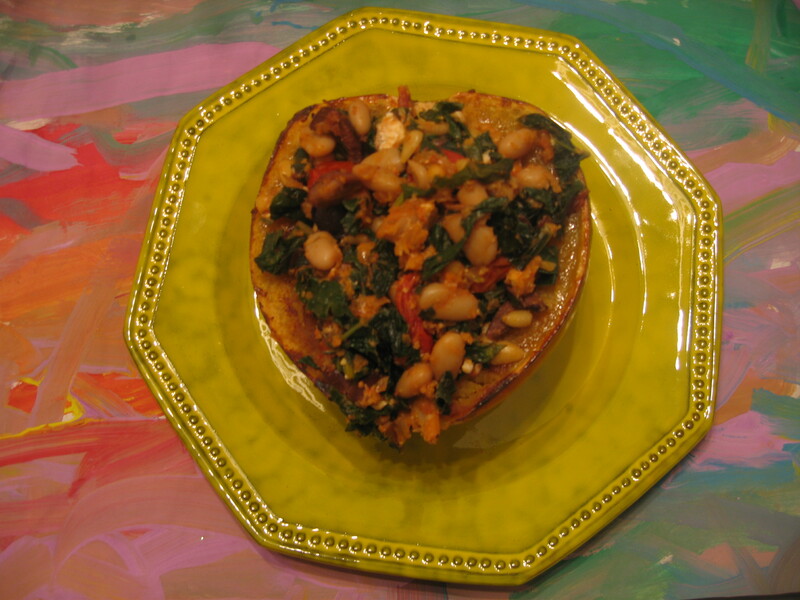 If you routinely eat on a paper plate you need a time out. Save those for the picnics! I can sense the eye rolls. 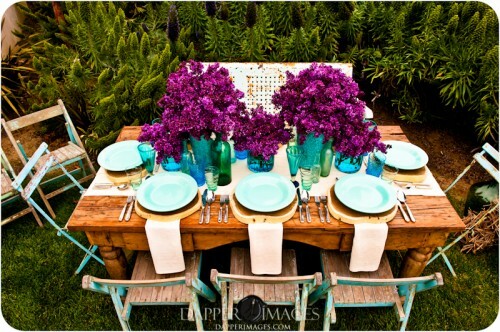 I know we are all super busy, time is tight and some may think it is silly to put effort into setting a table. It seems like every day is “Casual Friday” and I think it should stop. What’s so wrong with a little formality? I am not suggesting we put on a suit to travel or wear white gloves, just simply take the time to set your dinner table. I timed it. 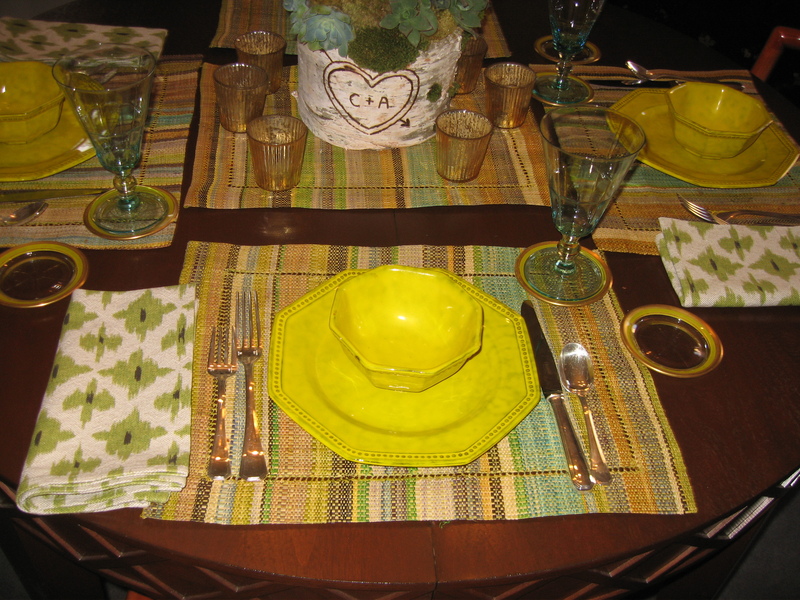 It takes 5-10 minutes to set a table with plates, napkins, silverware, and a place mat. Give your children the job of setting the table so they know how it is done, do it with them and then set them free and let them do a table scape themselves. Caroline has drawn place mats for us, picked flowers, pine cones, special rocks or shells when she set our table. It was a great activity and it kept her busy and out of my hair while I cooked dinner. I will admit I do use paper napkins when there is a messy dish such as ribs or if it is lunch on the run, but I try to routinely use cloth napkins. It’s so much nicer. 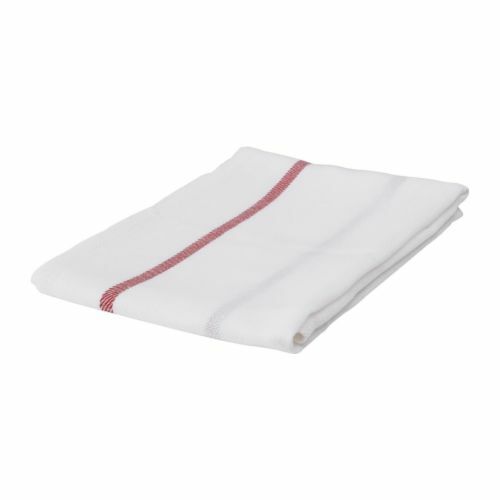 You can use a tip from Lulu Powers, author of “Lulu Powers, Food to Flowers” and go to Ikea, buy some $0 .79 cent dish towels. Buy a ton and keep them folded in a cute basket so you have them at your fingertips. They wash nicely and even look better with wear. If they get too stained then throw them out or use them a dust cloths. 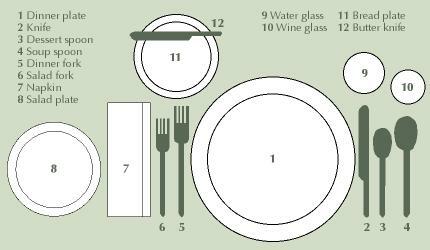 So for those who need a reminder here is a diagram of a proper table setting. Keep in mind the daily meal setting will be much simpler so don’t freak about the 12 different pieces! I may loose you here….How about pulling out the Wedding China out on a regular day? Who says you have to keep it for a special occasion? I like to have a “fancy” dinner night where I use all the good stuff, but I serve breakfast for dinner. 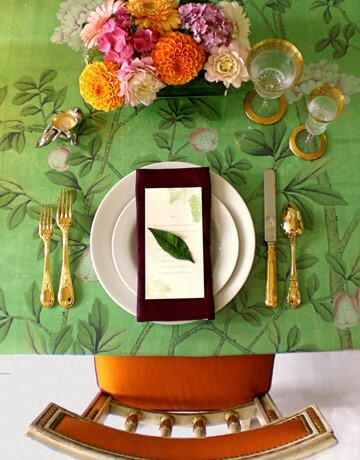 So go open your linen cabinet and pull out your napkins and table clothes and start setting your table!